Coffee And Butter? Why Not? And other things you can mix with your caffeine fix. There’s nothing like a good cup of coffee to perk you up in the morning. Just the smell of it is enough to get you out of bed. But if you think taking it black or with sugar is as good as it’s going to get, think again. Here are a few suggestions to make your morning cup even better! The French may be known for their love of butter, but it was Bulletproof Executive founder Dave Asprey who popularized the use of butter in coffee. According to Well+Good, he was first inspired by yak butter tea, a traditional Tibetan drink, and proceeded to craft his own version made from “upgraded” coffee beans and unsalted grass-fed butter. 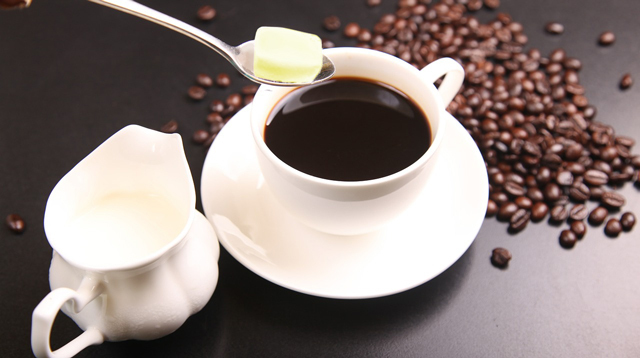 Aside from being delicious, this coffee hybrid is also said to help with weight loss and heart health. Not bad for an ingredient with such a bad rep among nutritionists. A cheaper alternative to butter, coconut oil, adds the same kick to your coffee and delivers an impressive set of benefits as well. Adding one tablespoon of coconut oil to your drink may be enough to stabilize your blood sugar levels, reports Prevention.com. According to Dr. Oz, coconut oil on its own reportedly helps build immunity against viruses and bacteria. Need to sweeten up your coffee? Try maple syrup. The Founding Farmers Cookbook: 100 Recipes for True Food & Drink from the Restaurant Owned by American Family Farmers offers an easy recipe to give your usual caffeine fix a boost. Simply mix the syrup and your coffee over medium-high heat until it boils. Then, reduce the heat to medium-low. Keep stirring for 10 minutes, and voila—gourmet coffee in your own kitchen! For more interesting ingredients to add to your coffee, visit femalenetwork.com!